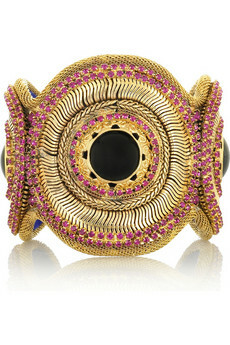 Erickson Beamon has been a driving force in the fashion industry for over 23 years. The brand is a partnership between Vicki Beamon and Karen Erickson. Hometown friends from Detroit, Vicki and Karen shared a passion for music, the arts and of course fashion. 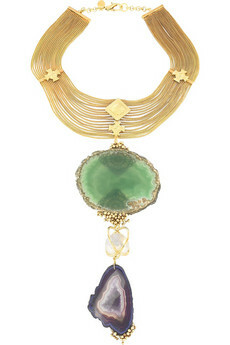 Erickson Beamon's design ethos is as vast and varied as its customers. An amazing ability to create designs from street fashion to haute couture has kept Erickson Beamon at the top of its game. The coveted beaded necklaces have become the Beamon trademark, as well as chandelier earrings, bracelets and brooches all meticulously handcrafted using the tiniest of crystals and semi precious stones. 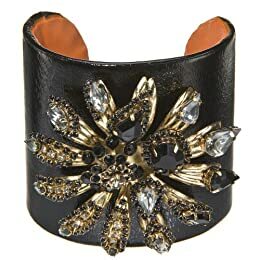 Erickson Beamon has collaborated with every major designer over the years, selling to the world's top retailers, gracing the pages of high end and progressive magazines.